Are you looking to purchase a new or used Buick Envision in the Edmond or greater Oklahoma City metro area? Make the short 10 minute drive north of Edmond or 30 minute drive north of downtown Oklahoma City on I-35 to Vance GMC Cadillac Buick in Guthrie, Oklahoma. Find out how to avoid high pressure crowded OKC car shopping and discover why it’s worth the quick trip to find small town friendly service with a big city inventory. 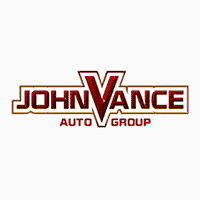 Vance Auto Group has been faithfully serving Oklahomans for over thirty years. Our top priority is customer satisfaction because we plan on helping Oklahomans for at least another thirty. We have nine full service dealerships which means we always have a huge selection of used cars to choose from. Our Buick dealership in Guthrie is the best place to find your perfect new Buick Envision. The Buick Envision is a compact luxury SUV, designed to a refined level of sophistication. Its sporty sleek body style lures you into a classy drive with the versatility of a SUV. The beauty of sculptured lines and the unmistakable Buick grille with an array of stylish exterior colors turns heads wherever it goes. Any short or long trip becomes a pleasurable experience riding in the quiet luxurious interior. Yet the second row seats recline or slide to make for easy entry. The seats can be folded down in different combinations with the 60/40 split fold rear seats offering up to 57.3 cu ft of cargo space. The Envision gets 22 MPG in the city and 29 MPG on the highway. Discover the Intelligent All Wheel Drive with twin action clutch for various road conditions. You’ll enjoy an impressive ride and handling with the HiPer Strut Front Suspension which gives responsive steering and cornering while dampening road noise and vibration. While savoring the quiet drive and agile handling, you can count on safety, as well. Check out the Rear Park Assist, Head Up Display, and Rear Vision Camera. Stay connected with Buick Infotainment, Smart Phone Connectivity, Apple Car Play, Android Auto, Built in LTE WiFi Hotspot and Push Button Start. Come experience the pleasure of driving a Buick Envision for yourself. Discover why we’ve been trusted for thirty years to treat you like neighbors. Make the quick drive from Oklahoma City or Edmond to Vance GMC Cadillac Buick in Guthrie, OK.